Point2 Homes gives you far more than a simple list of houses for sale. Get instant access to a lot of relevant information about Glenora, Edmonton, AB real estate, including property descriptions, virtual tours, maps and photos. The search results pages also have a wealth of information on Glenora, Edmonton, AB, if you scroll all the way down. 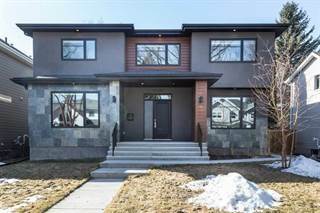 There are 38 houses for sale in Glenora, Edmonton, AB. Searching homes for sale in Glenora, Edmonton, AB has never been more convenient. 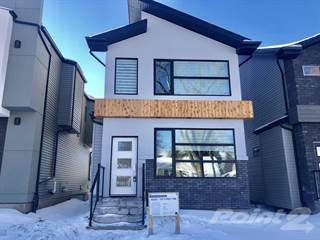 With Point2 Homes, you can easily browse through Glenora, Edmonton, AB single family homes for sale, townhomes, condos and commercial properties, and quickly get a general perspective of the real estate prices. Also, you’ll never miss a bargain if you filter listings based on house price drops in the past six months. Use the map view to find Glenora, Edmonton, AB homes and apartments for sale, based on amenities or city features that you may want close by. You can close in on a specific neighbourhood or area by simply drawing around them with the polygon or radius tools. Stay informed about the latest entries on the real estate market by saving your searches. This way, you get new listings in your inbox, daily or every week, based on your preferences. If you’d like to get in touch with a professional, agents are displayed next to their listings, and they’re easy to contact through the online forms. If you want more options, you can click the Tools tab and Find an Agent, and you’ll get a list of helpful and knowledgeable real estate agents in Glenora, Edmonton, AB. Visit the Point2 Homes blog and you can find up to date expert advice on many markets throughout Canada, regular market reports, neighbourhood scoops in cities throughout the provinces, real estate deals and useful recommendations. Glenora is one of the oldest communities in Edmonton and home of the Alberta’s Government House, the official residence of the first six Lieutenant Governors of Alberta. That’s why homes in Glenora will probably always preserve a certain historical air, reminding one of the times when the neighbourhood was founded by entrepreneur James Carruthers at the beginning of the 1900s. But at the same time, nobody can deny that it also satisfies all the requirements of modern luxury living. Right now, Glenora is bordered by 107 Avenue to the north, 142 Street to the west, Groat Road and Groat Ravine to the east and the river valley to the south. Glenora is home to many of the elite of Edmonton, and no wonder. Unique mansions decked out with all the amenities, plus the safe and secure atmosphere and all the convenience of the location make the neighbourhood an irresistible place to go to at the end of the day. Large historic homes with immaculate, wide lots give Glenora its charm and style, and have made it one of the most in-demand real estate areas. Within walking distance of any address in the neighbourhood, MacKinnon Ravine Park nestles beside the North Saskatchewan River. Locals can breathe in clean river valley air, while using the park’s well-maintained and scenic trail. Residents tend to stick around for a long time, making it a tight-knit and warm community. Better yet, Glenora is one of the wealthiest neighbourhoods in Edmonton and residents have the highest per household income of any neighbourhood in the city. Walk to the cafe located in the heart of Glenora or jump on your bike or in your car for a wide array of restaurants in the vicinity. Ranging from Italian to Japanese to farm-fresh, great food is available just a block east of Groat Road. Two museums are located here: The Royal Alberta Museum and the Alberta Government House. Victoria Golf Course is Canada’s oldest city-run golf course, situated at the southeast tip of the neighbourhood, on prime river valley land. Just west of Downtown, Glenora provides fast access to all major amenities by car or public transit. 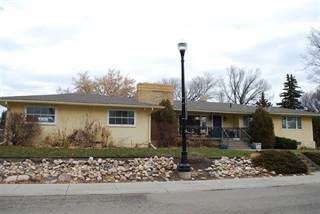 Large lots and close proximity to the downtown area make Glenora real estate highly sought-after. With quaint single-family homes and grand mansions, this neighbourhood ranks high on the real estate desirability scale. Approximately 90% of the houses in Glenora were built before 1970, some having been built as long ago as 1910 when the neighbourhood was first established. Single-family detached homes make up the most common type of homes, most having a detached garage. The majority of houses are owner occupied, with a small percentage converted into apartments. Patio homes, townhouses and low-rise apartments make up Glenora’s handful of low-rise rental availability. Less than a quarter of the residences are high-rise apartments or condos. A very small percentage are semi-detached or row houses. Crescent Place Condominiums is located next to Stony Plain Road and offers 280 units, underground parking and full security. Crescent Place is one of the only high-rises west of downtown Edmonton, the other being The Gables of Glenora. There is a high-end residential condominium and commercial complex development underway near the intersection of 102 Avenue, 142 Street and Stony Plain Road. The wide open, beautifully landscaped green spaces of Glenora give it a quiet, peaceful and relaxed feel. Though it has 15 major access points, there are no major freeways running through the neighbourhood. Old growth trees and the vegetation of the 14 parks located within its boundaries help noise and pollution levels remain low. The crime rate in Glenora is low to fairly moderate with most crimes falling in the property crime category. Night time walking is considered moderately to highly safe. Glenora’s Neighbourhood Watch Program is in full force. There are four schools located inside Glenora. Public schools operated by the Edmonton Public School System include Glenora Elementary School and Westminster Junior High School. Progressive Academy and St. Vincent Catholic Elementary School are two private schools located within the neighbourhood. Ross Sheppard High School is the nearest public high school, located only a six minute drive north in the neighbourhood of Coronation Park. Private high schools are also located nearby. Glenora has 17 bus stops inside the neighbourhood, with services run by the Edmonton Transit System. Ranked the 89th most walkable neighbourhood in Edmonton, it has a walk score of 57. Biking is also popular for residents along its peaceful, uncrowded streets. The nearest metro line is approximately 11 minutes away by car. There are future plans to connect the metro with the neighbourhood. There are 14 parks within Glenora, including the Government House Park. Residents can enjoy scenic, moderate to difficult paved and non-paved hiking and biking trails, making it a fabulous place to raise a family and push a stroller. Proving that this is truly a family neighbourhood, Glenora Community League, located in Glenora Park, boasts a playground, sports fields, tennis courts and a splash park. Get the whole family involved with their programs, ranging from sports and yoga to preschool and church gatherings. There are plenty of picnic areas, places for the kids to play and neighbours to visit and there is even a designated Toboggan Hill. Kinsman Sports Centre, located on the other side of the North Saskatchewan River, is a world class fitness and training center. It provides a wide range of training and fitness needs for all ages, featuring an indoor pool, personal trainers, fitness centres, and a full range of sports and events.